Why insure your Pub with us? With our Public House policy, Insurance Protector gives you the ‘usual’ mix of quality insurance cover and competitive premiums. We provide specialist insurance for Pubs, Social Clubs, Sports Clubs and Wine Bars. 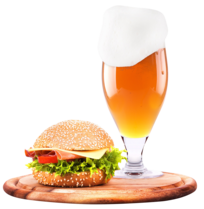 Our Public House policies include Stock and Contents cover, Business Interruption cover, Money cover and Employers & Public/Products Liability. We can even extend your policy to cover Outside/Mobile Catering and Outdoor Children’s Play Areas.